Spencer Savings Bank, a community bank headquartered in Elmwood Park, N.J., once again collected toys throughout the month of December at their branches and headquarters to distribute to families and organizations in need this holiday season. 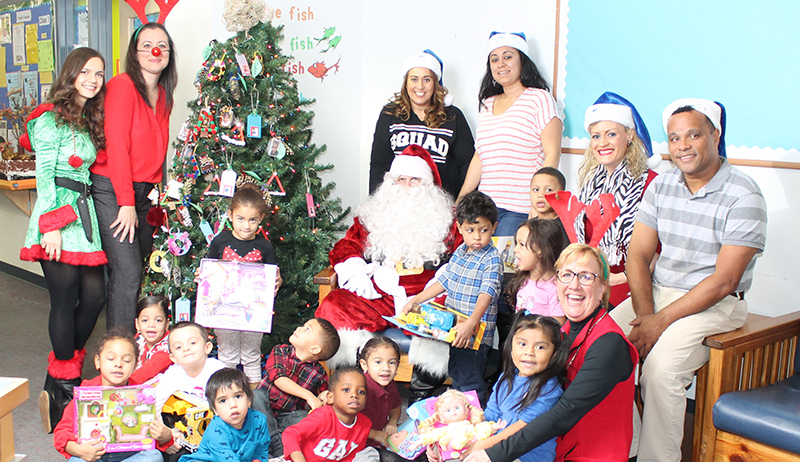 On December 22nd, a group of Spencer employees visited the Paterson Family Center and delivered over 100 toys to eager children. The Paterson Family Center, whose mission is to educate and support students academically and socially by building collaborate relationships, is a division of the New Jersey Community Development Corporation. A second donation of toys was dropped off to the Children’s Specialized Hospital of Mountainside, N.J., specifically matched to the requests of the kids. New this year, Spencer also partnered with the Bergen County Volunteer Center for their ‘All Wrapped Up’ program and adopted several families, providing them with gifts and holiday cheer to celebrate the season. “The generosity of our employees and customers who donate year after year to our annual Holiday Toy Drive is inspirational,” said José B. Guerrero, Chairman, President and CEO of the Bank. “We thank everyone from the bottom of our hearts, for helping to make a difference in the lives of our local communities’ children and families this holiday season.